I broke this track set into 3 segments in order to eliminate overlaps caused by running back over same roads in some places. 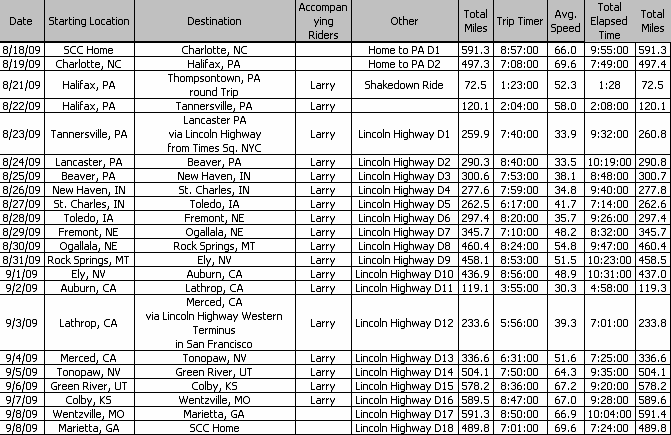 Segment 2 - The actual tour of the Lincoln Highway. We attempted, wherever possible, to run on the original (1911) alignment. However, a LOT of that is dirt road and in some cases now either on private property or otherwise closed/inaccessible. In those cases we detoured on later alignments.